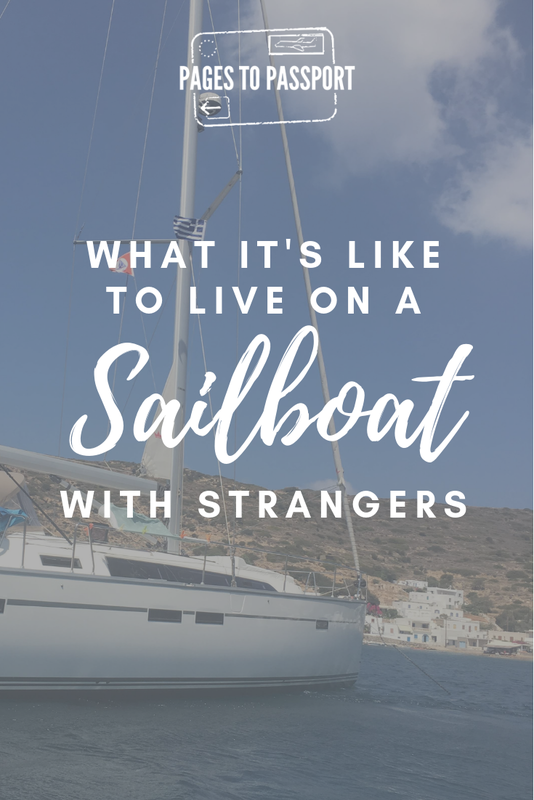 If you’ve ever wondered what life on board a sailboat is really like, this survival guide to sailing with strangers is for you. 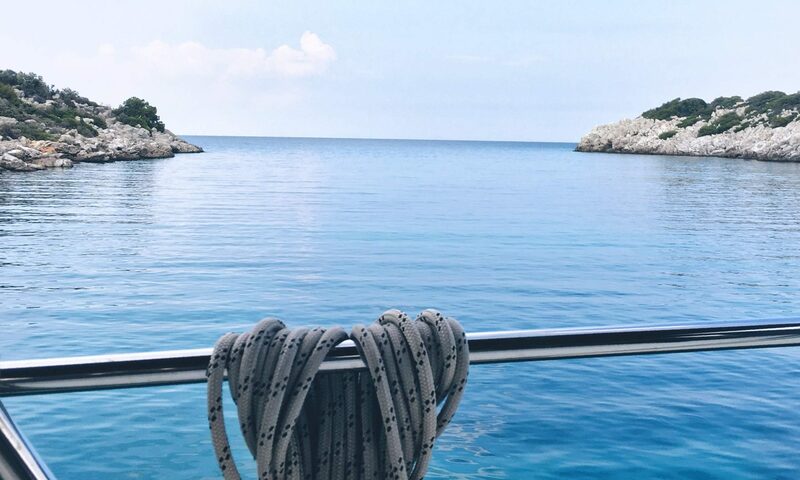 This summer, I agreed to spend two weeks sailing around the Greek Islands with a Turkish family I had never actually met before, for free no less. When I tell people about my sailing experience, they either stare at me with looks of extreme envy or a look that seems to question my sanity. 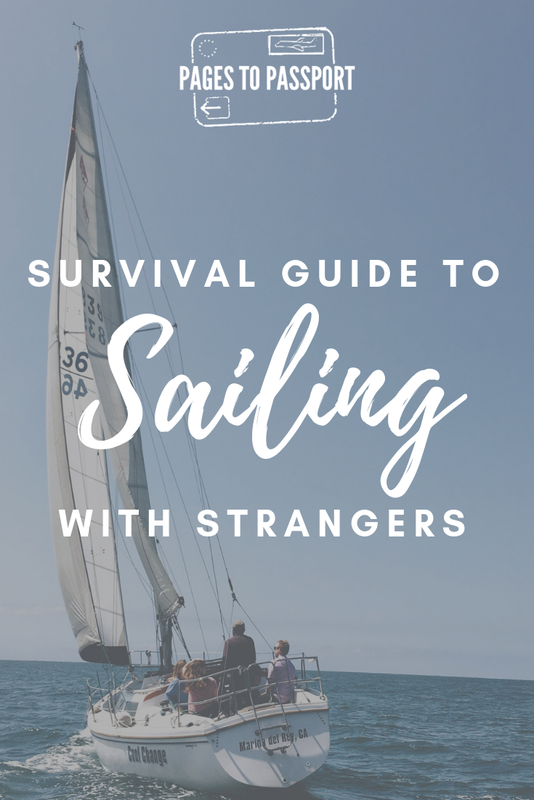 If you’re in the former category, this survival guide to sailing with strangers will show you what it’s really like to live on a sailboat. So, how did I happen upon a tutoring job on a sailboat you ask? 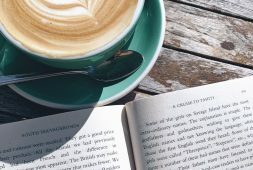 I found the gig online through workaway, a site that pairs hardworking travelers with hosts willing to open their homes. Most workaway experiences expect 4-5 hours of help per day in exchange for a place to stay and sometimes meals. My workaway experience was exceptional and definitely above average. In exchange for English tutoring and helping with basic chores, I had an life-changing and meaningful experience on a sailboat. I had my own private cabin and bathroom on board and the cost of all of my meals were covered. Lucky me! The sailing life isn’t for everyone though. Sailing with strangers is probably for even fewer people. The survival guide to sailing with strangers below will give you a glimpse of what it’s really like to live on a sailboat for a few weeks. I was traveling for 4 months doing a large variety of activities like hiking in Switzerland, walking the Camino de Santiago, and exploring cities like London and Paris. My clothing was more suited to city travel or hiking than it was for lounging around the boat. I wish I would have brought lighter, quicker-drying clothes for a warmer climate. Greece in July and August is scorching. I considered only bringing one bikini with me on my long-term travel stint in an effort to save precious weight in my backpack. I’m so glad that I added a second one because of my focus on sailing. In fact, I wish I had three with me for this leg of the trip. I lived in a constant rotation of those two swimsuits. My host family never stayed in their swimsuits after swimming. They would always immediately change into a dry suit to keep the boat clean. It was so different than what I was used to with my own family. In today’s world, we crave being able to disconnect and slow our pace of life. It was wonderful until it wasn’t. I started going stir crazy about 4 days into the sailing experience. 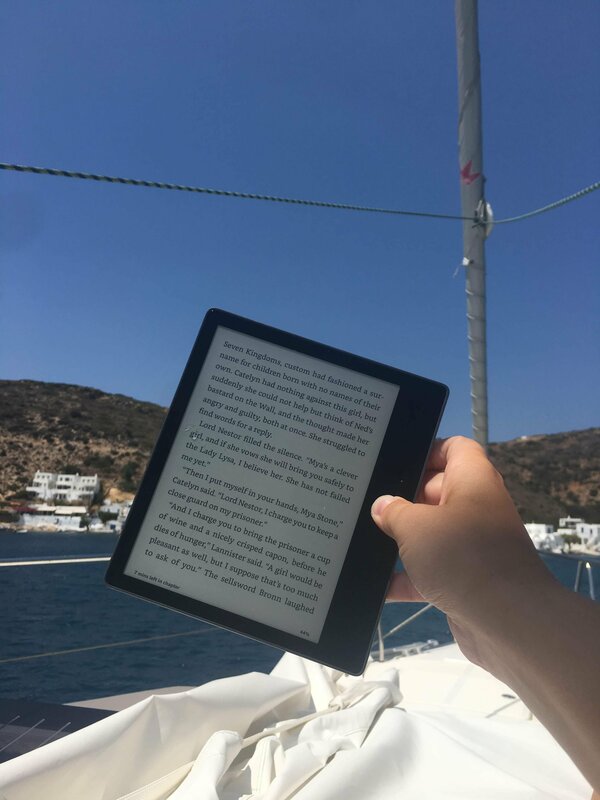 To embrace the slow pace and keep my mind occupied, I read a lot of books set in Greece and books about sailing. The boat I was on was well equipped for modern life. While it didn’t have wifi onboard, it did have ample solar power to recharge my electronics overnight. Power and connectivity aren’t give-ins when sailing though. Bring an external battery along for peace of mind. Ideally, bring a small treat or gift from your hometown with you to say thank you to your hosts or fellow sailors. I brought a small tin of cookies with me from my layover in London. Be mindful of the size though! On a sailboat, everything has its place and it is usually a small one. 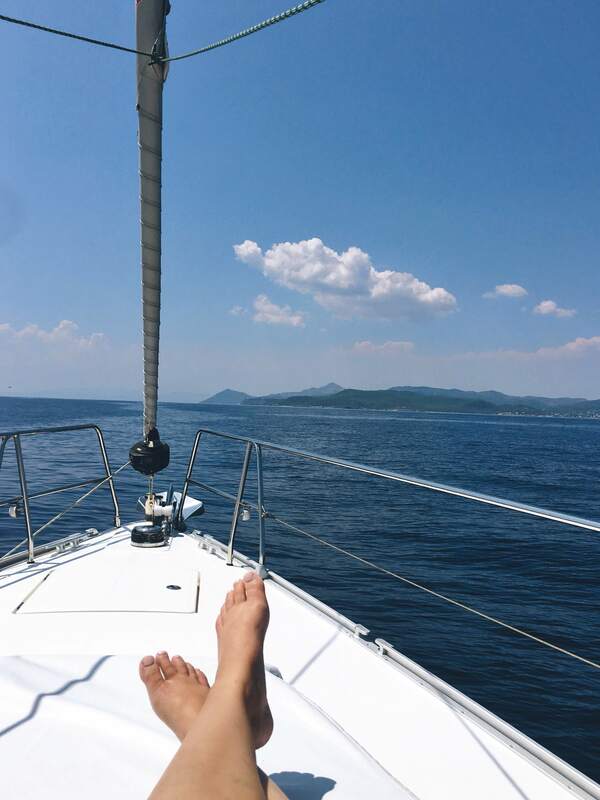 While some days may be different than others while sailing, it’s always nice to have an idea of what to expect so that you can blend easily into the rhythms of daily life on board a sailboat. I wish I had done a better job of this before stepping on the boat. I quickly learned that my host family liked to sleep in more than I did, so I was sure to be especially quiet in the mornings. 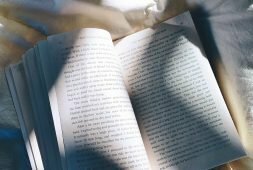 I eventually adjusted to their night owl tendencies and later meal times, but I wish I would have asked more questions about their routine beforehand to avoid the anxious moments I spent wondering what to do with myself before the rest of the family woke up. The last thing I wanted to do was to be a burden on my host family when it came to food and meal prep. 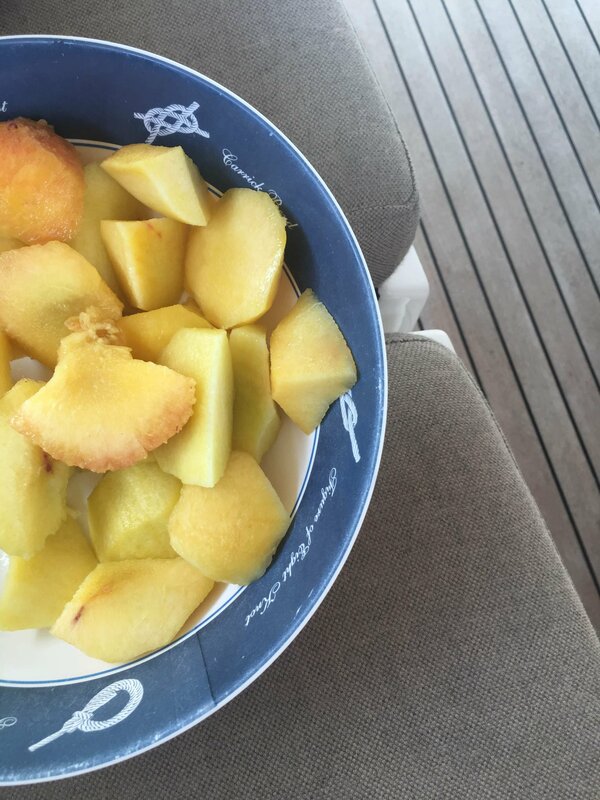 Cooking meals on board a sailboat can be a creative challenge and food is a limited resource while sailing. Thankfully, this wasn’t a huge challenge for me as I generally enjoyed the Turkish food that they prepared. Even if something wasn’t normally my taste, I made it work. 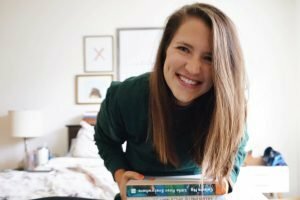 I learned to love tolerate mushrooms, dates, and coffee without sugar like never before! I also became a daily tea drinker. Be sure to share any dietary restrictions before sailing. The workaway traveler before me had to cut her time short because of seasickness and her strict vegan diet that didn’t mesh well with the family’s meal plan. I don’t have a lot of sailing experience so I was up front with my host family about my lack of sailing knowledge. 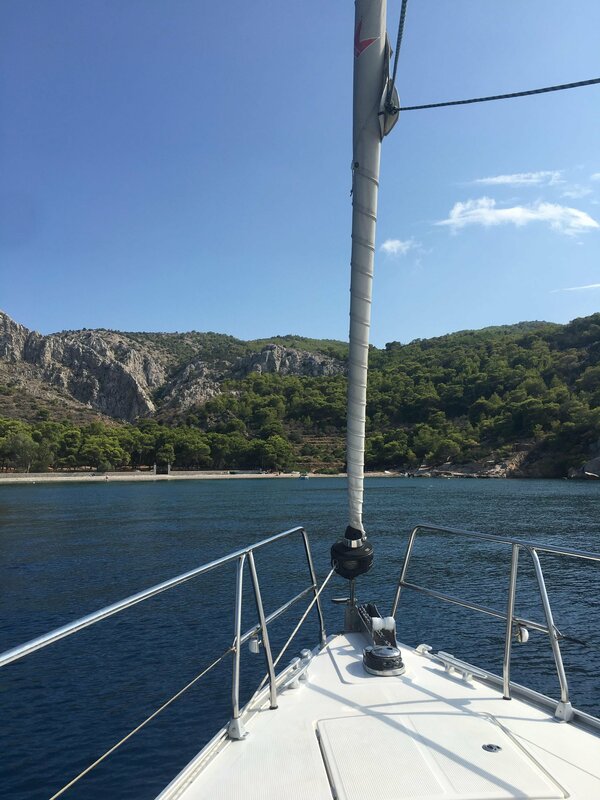 Before we even left the port, I knew what sailing-related tasks I could help with, how to do them, and where it was best for me to be while we were moving. When my host family was sailing the boat and in especially tense moments, they would often speak in Turkish as it was their native language. Because we had discussed these things beforehand, I didn’t feel awkward when I had to get out of the way or do something quickly. This was probably my least favorite part of sailing life. We would only take freshwater showers when at ports roughly every 4-5 days and I didn’t do any laundry while on the boat for two weeks. I’ve never used less water when brushing my teeth either. Thankfully, we were swimming in some of the cleanest water I’ve ever seen, but my hair was a tangled saltwater mess! Adjusting to the easy, breezy ways of sailing life was an adjustment, and a water conservation wake up call. What you gain in a unique experience, you pay for in relinquishing control. I didn’t have a say in what islands we would be visiting or how long we would stay in each bay. I didn’t even know which port I would be meeting them in to start with until a week beforehand! I spent two weeks in Greece on islands that I hadn’t heard of before and I’m so grateful for it. Life on a sailboat is incredible. It’s also incredibly unpredictable. Our day changed depending on the wind, how many other boats were around, and what my host family felt like doing that day. I had to learn to go with the flow, literally this time. This post may contain affiliate links. 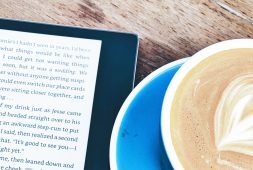 If you purchase through the links included above, Pages to Passport will receive a small payment for each sale at absolutely no additional cost to the consumer.